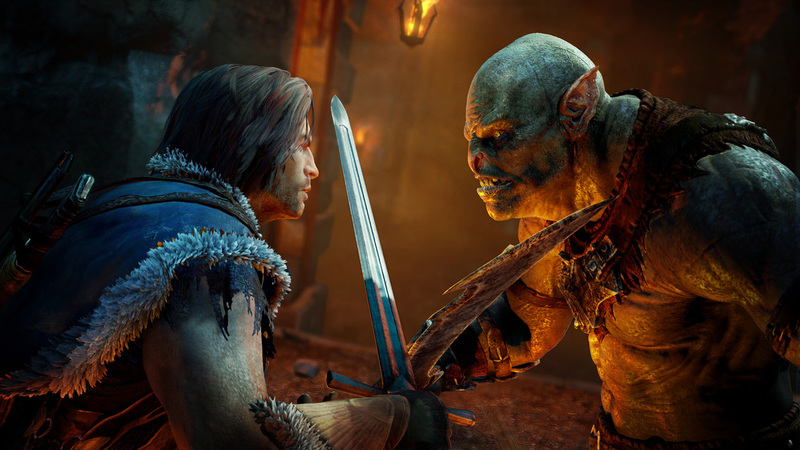 If you’ve only seen some footage of Middle-Earth: Shadow of Mordor, you’d be a little forgiven for thinking it’s just like every other big-budget game out there. Its movement is lifted straight out of Assassin’s Creed and its combat is taken right from the Batman: Arkham games. The story is some generic revenge fantasy that video game writers seem really into these days. I don’t think that does a good job of selling this game, because as bog standard as I’ve made it sound, it’s actually great. On top of the game’s risk-free open-world structure, is a system that has brought about equal amounts of frustration and satisfaction. Basically it’s what has been described as the “Nemesis System”. For those unfamiliar amongst the orc enemies around the game are named captains and war chiefs. They can pop up at any time, like when you’re just wandering around, or even during a main mission. They’re hard to take down, and if they kill you they will let you know about it the next time you come across them. They’re persistent too, if you take them down they could potentially come back to fight again. Each time you die against an orc it’s annoying because they get more powerful because of that, but it was such a good system because I felt that fuelled my desire to fight back. The one guy who kept killing me would be my target, but there was always a small feeling of panic when they would turn up out of nowhere. It also made dying in the game a lot more meaningful, it was punishing as opposed to being just a temporary roadblock. Each of the orcs were likely randomly generated out of certain elements, but there was enough unique about each of the ones I encountered that I always recognised my worst enemies. This system elevated the game to be much more exciting than similar ones out there. It’s great how one aspect can change how a game flows, but wait I’m not quite done yet. About 2/3rds of the way through the game you get the ability to ‘brand’ orcs and make them fight for you. It’s thematically problematic (you basically enslave them) but mechanically satisfying. You could sneak up on orcs, brand a few and have them fight each other while watching from the shadows. I personally found it much more fun to charge in head first into a big battle, fill up my combo meter so that I could brand them mid-battle, and gradually turn a huge crowd that was all against me into my own army. And yes you can take over the minds of captains and war chiefs too, which you can command to take out other orcs in the hierarchy. At this point it has some light strategy elements as you pit captains against each other. It’s just a shame that you have to get through roughly 60% of the game to get to the best part. 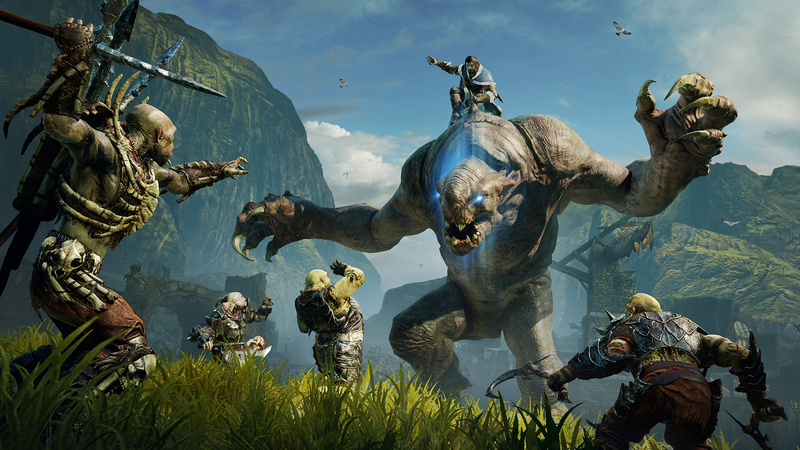 These extra layers make Middle-Earth: Shadow of Mordor one of the most interesting games to come out this year. I couldn’t care any less about the story but just the act of playing it was really fun, and in a big-budget game like this one I really appreciated that.